Went with Thomas to the Mursi Village on top of the hill in the afternoon. It was quite an experience to see all the huts, people especially the children playing. The people are really friendly and very curious about seeing me. They would marvel at my hair on my legs, chin and my facial features too! 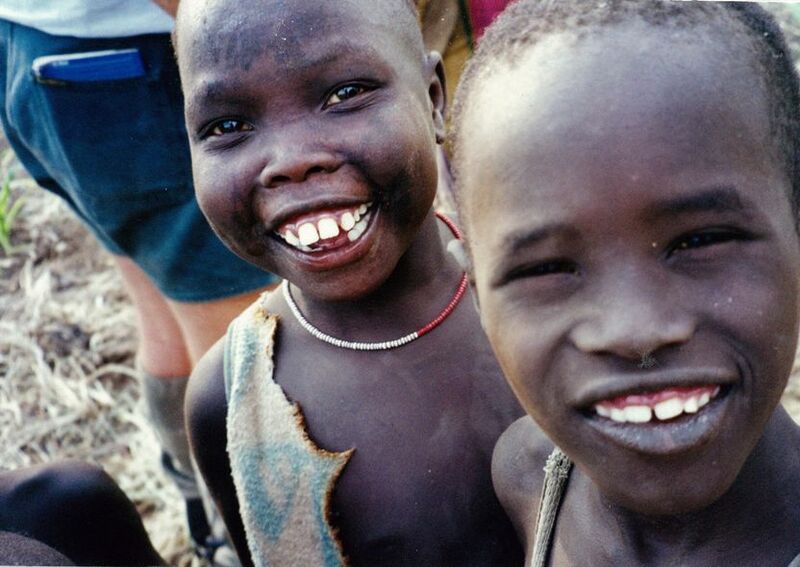 (Post entry note: The Mursi do not have facial hair nor do they have hair on their arms or legs so it was a facinating sight for them to see me). The kids are very friendly and they seem to be so joyful all the time. Some of the kids I've met have the most beautiful smiles I have come across... It's a great lesson for me as I think of the 'western' culture I have come from... having so much yet people are so joyless... discontent. The kids here are content. They enjoy the simple things that they have. They have shown me a joy that I should have! Was woken up this morning by noises on the roof. Wasn't sure at first what it was but found out that it was Bryon. He had some how managed to escape the front verandah and was trying to find his way back into the verandah enclosure. Had to wake up a few times until I finally was able to let him in. I think he was hungry and was looking for food! He would only eat mangos! Photo: 'Bryon' the African Civet... the cause of many sleepless nights! It has been good being reminded again of what I learnt those many years ago. It still holds true today. The Geddes left yesterday for Jinka and they’ll be heading to Aber Minch today. It rained in the early morning… hope their 4WD don’t get bogged down on the way there! Jon left me with a list of things I could do while they are away. I’m not too sure how to approach things at the moment. Need much wisdom to know which things are important to do first and how to relate with the Mursi. Had a good time of fellowship with Thomas last night over dinner. It was good to have a chat with him and find out abit more about him. Got a radio message from Jo this morning. She says she had a good birthday… her front door was decorated… her hair got plaited like that of an African’s! And her mum called to say “Happy Birthday”. Miss Jo very much… hope to see her soon. Have been reading about the sovereignty of God in Chuck Swindoll’s book. I’m finding it a very appropriate book to read at this time... being alone in the Geddes’ place… being a stranger in a strange place, not knowing the language nor the culture very well is very humbling indeed. I am at the mercy of God! I too need to acknowledge God’s sovereign rule and right over my life. Until I do, I will never feel at peace in my heart and mind. God's sovereignty is indeed unfathomable! He works in ways that we cannot fully understand. For myself, I need to keep asking God to take control of my life and to surrender everything to Him no matter what the cost. It is one thing to know it in theory but another to actually do it or know how to do it....There is no need to fear the uncertainties when you surrender every aspect of your life to God, trusting His sovereignty and faithfulness. I need to take God at His word that what He has in stored for my life is for my good and most of all for His glory! Father, please help me to have an unwavering trust in you… taking you at your word because you have proven to be sovereign and faithful. Give me the peace of heart and mind that comes from fully trusting you. Amen! 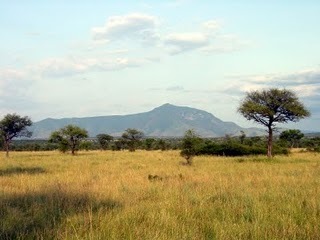 I have been reading my Makki diary entries and reflecting on the experience I had in Ethiopia in 2001/02. This was a 6-7 week short term mission that Jo and I went on with SIM (Jo was posted in the capital city, Addis Ababa while I was posted down in Makki). Makki is a place in Mago National Park in the southern part of Ethiopia where a team of SIM missionaries serve a nomadic people group called the "Mursi". Makki is one of about 5 Mursi settlements (I think?). I thought i would pick out some diary entries to put on the blog... lessons and thoughts that I learnt there that I would want to remind myself of in the future. Some of them make interesting read! Here goes! Woke up at 5:30am today to fly to Jinka! Went to the airport by taxi which cost me 35 bir. It was pretty scary catching a plane down to Jinka especially when you are not familiar with the way people do things. e.g. not knowing where to line up to check in luggage and not knowing Amharic made things even more difficult. Thank God that I was able to find out about the way boarding flights work in Ethiopia in time. I was getting worried that I would miss my flight. Eventually, got onto the plane and arrived in Jinka about 10:30am! It was quite a view from the plane... seeing the terrain and things from above. Jonathan picked me up from Jinka with his evangelist friend. We spent some time in Jinka before heading down to Makki. we visited some Mursi believers in prison, visited a sick Mursi believer and his wife, did some shopping in the market, got fuel. Also had lunch... Ingera and Wot! It was authentic Ethiopian cuisine! On the way down to Makki, out 4WD got bogged in the mud and spent some time getting our hands dirty putting chains on the wheels. As we were doing this, 2 other 4WDs turned up with some tourists from Holland and Belgium. And we got stuck! It was quite an experience ! Talk about being flexible! Arrived in Makki at around 7:30pm. had dinner and spent some time with the Geddes and Thomas. Hope Jo is not feeling too lonely up in Addis! I pray that God would really look after her!